Tesla vs Lovecraft is an intense top-down twin stick arena shooter from the creators of Crimsonland and Neon Chrome. Play as the enigmatic inventor Nikola Tesla harnessing the static energy to power up Tesla-Mech and give the lovecraftian nightmares a lesson in horror!You are Nikola Tesla, world-famous inventor and genius extraordinaire. At the eve of your greatest invention, your laboratory is burned down by the horror author H.P. Lovecraft, who claims that your actions have put the world in peril. With the help of his occult book, and a vast army of monsters, he has stolen your most precious inventions!Tesla-Mech, an immensely powerful machine of war at your disposal. Mow down your opponents with twin-mounted Tesla-Miniguns, and trample over monsters like they were ants.Quantum Teleportation, packed neatly into one handy portable backpack. (Includes a warning label about Theseus-paradox, whatever that is)If nightmares had nightmares, this is what they’d look like. Monsters so horrible they’ll make you eat up your own sanity!Save the world with a plethora of inventions and gadgets, including (but not limited to) X-Ray Blade and Death Ray Gun. 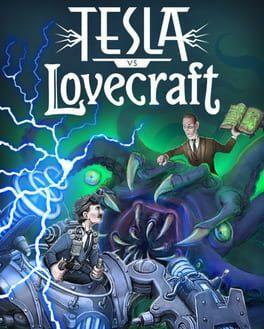 We currently don't have any prices for Tesla vs Lovecraft. Check back later.